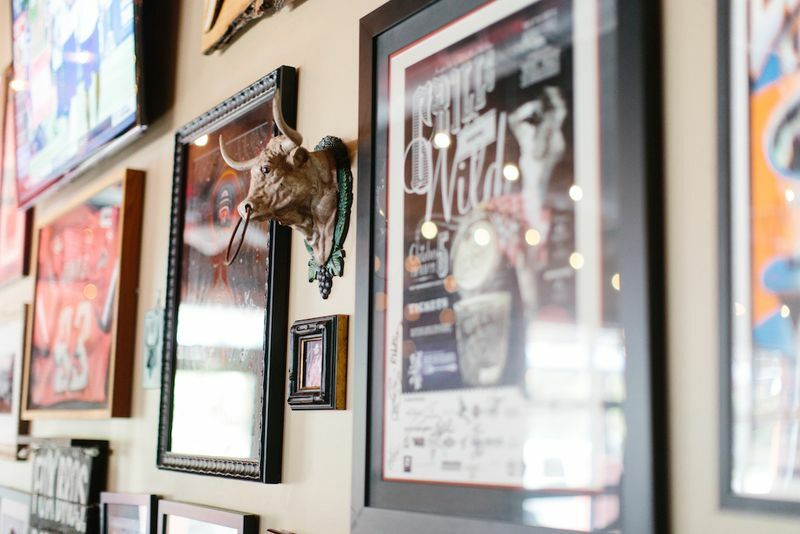 We teamed up with American Express to seek out local food businesses that you won’t want to miss when traveling across the U.S. Today, Atlanta pitmasters share their signature pork dishes. 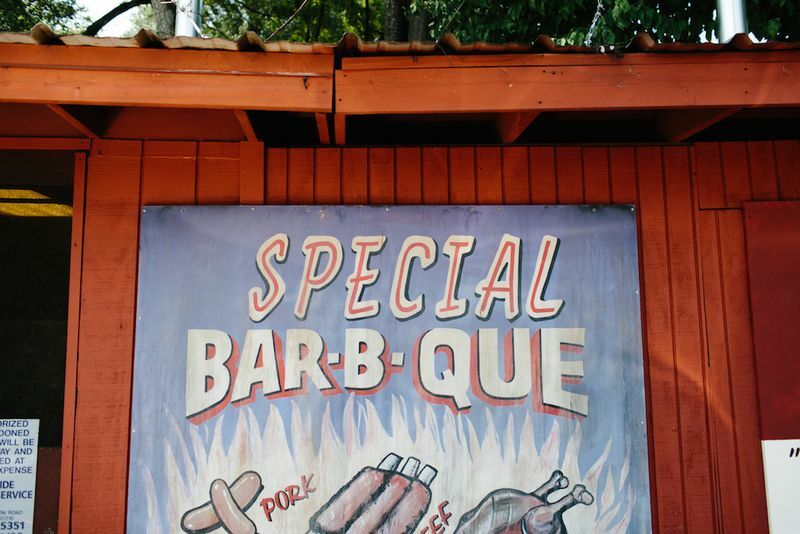 See the full Shop Small® Guide to BBQ & Beyond in Atlanta here. Left: Smoked pork platter at Fox Bros Bar-B-Q; and Right: Ribs at Fat Matt's Rib Shack, both in Atlanta, Georgia. 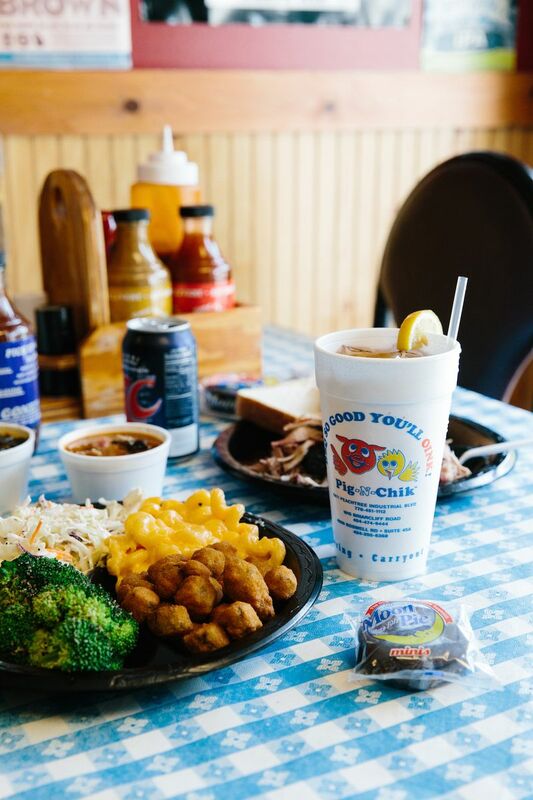 When we think of barbecue, it goes a little like this: blistering sun, messy hands, cold beer, and a whole lot of meat, piled high on butcher paper-lined trays. It’s not fancy, and it’s definitely not neat. 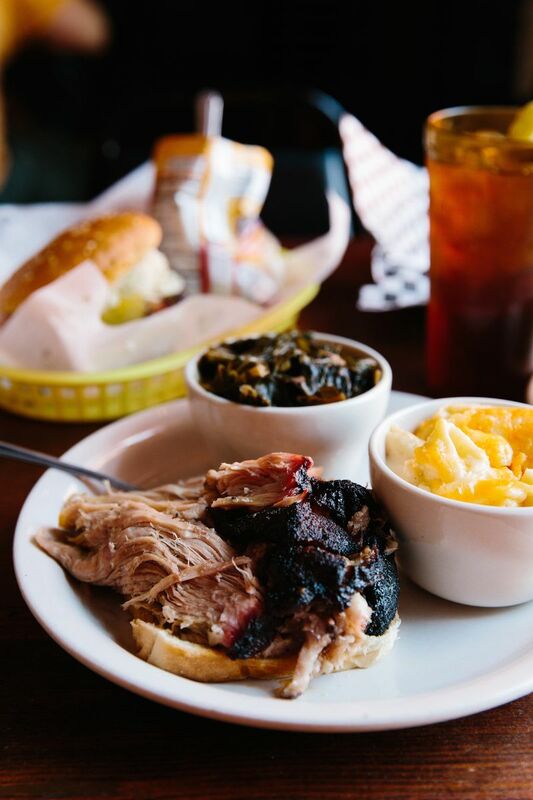 In cities across the U.S., it's a meal that feels relegated to the warmer months, but, in Atlanta, Georgia, barbecue is a year-round staple. You’ll find purveyors dotting the city, smokers and grills at the ready, churning out pounds of beef, pork, and chicken faster than you can say "That'll do, pig." By preparing to cook a whole hog year after year, as well as Jim’s grandparents showing them how to rub it down and make accompanying sauces, they had become really good at making smoked pork. 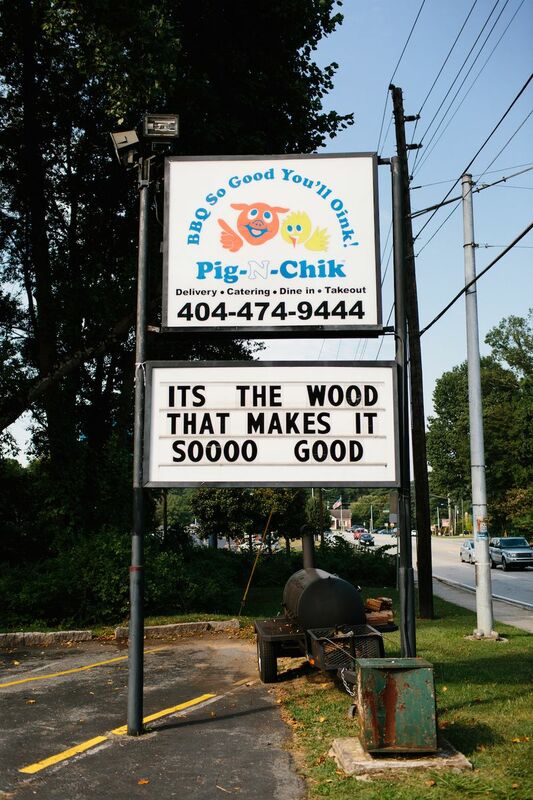 They hedged their bets that Atlanta was looking for another really good barbecue place and opened Pig-N-Chik. 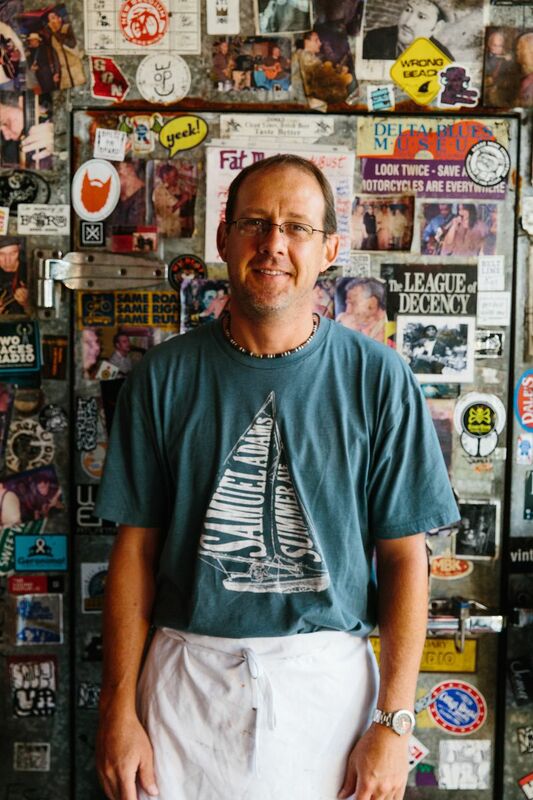 Left: Pulled pork at Pig-N-Chik; and right: Jim Graddy of Pig-N-Chik. “Our philosophy is ‘low and slow,’" Jim said. “We cook fresh, bone-in pork butts for around 14 hours, or until the ideal internal temperature is reached.” (This temperature, he mentioned, is considered one of their secret ingredients!) 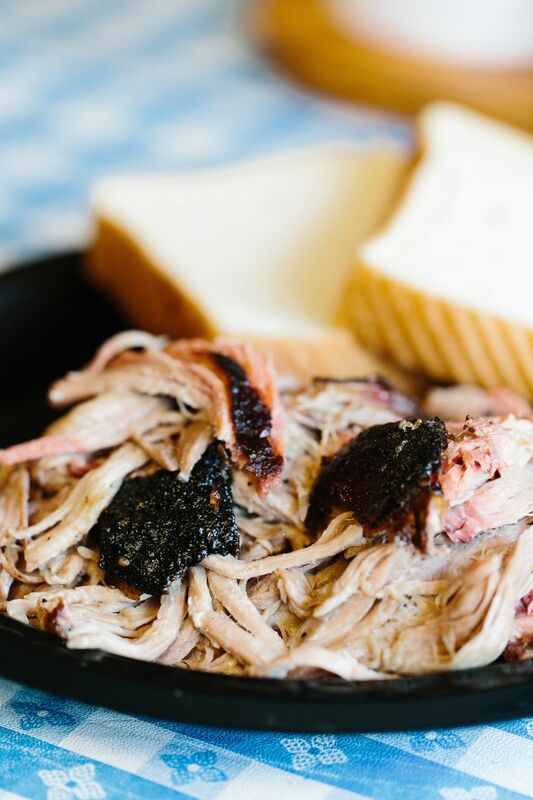 The process has done them well: Pig-N-Chik’s pulled pork is their bestseller by a landslide. 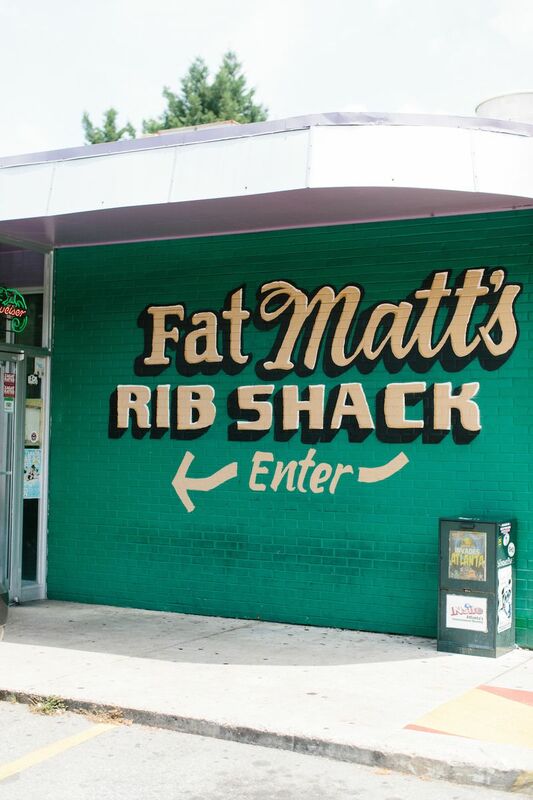 You could say that Fat Matt’s Rib Shack is one of Atlanta's barbecue old-timers, celebrating its 25th year this fall. 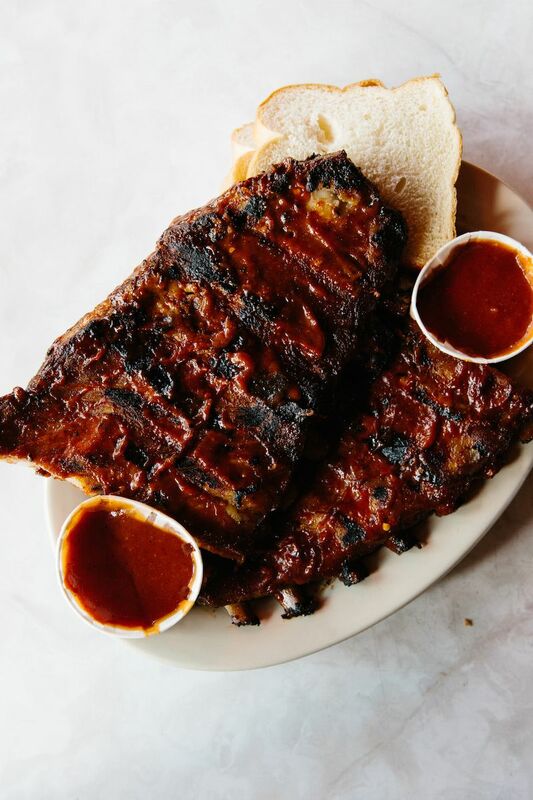 It’s an essential stop for ribs—and blues—in the area. Matt Harper wanted to open a place where he could collaborate with his partners on recipes and connect with any customer who walked through the door—their door. Left: Wes James of Fat Matt's Rib Shack; and right: chopped pork platter at Fat Matt's. 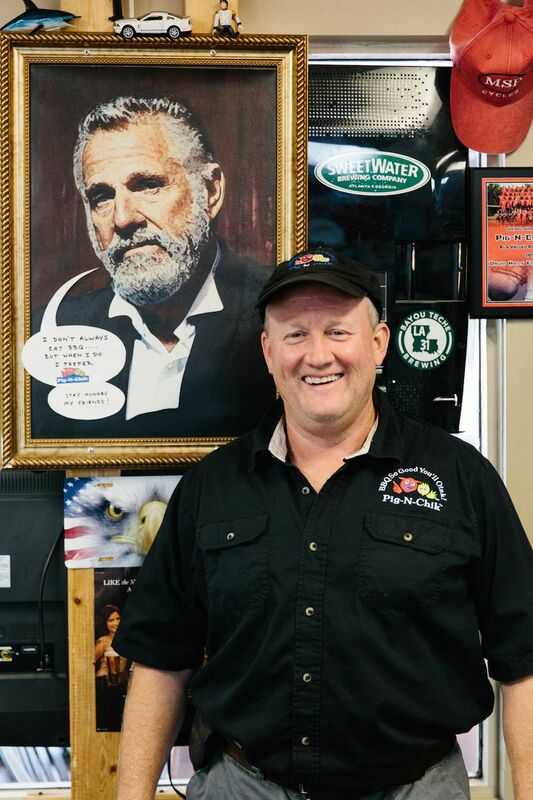 Wes James, who’s been with Fat Matt’s for 23 years and is Matt’s brother-in-law, says that Fat Matt’s is not only known for their ribs, but their chicken and chuck pork as well. And the pork is highly sought after: “We go through a boat load of pork—1000 pounds a week,” Wes said. Their pork is cooked for 12 to 15 hours overnight, and in the morning, they chop it by hand, add spices and sauce, and pile it on a soft bun for the inevitable lunch rush. “We started cooking in our backyard for friends,” recalled Jonathan Fox, who started Fox Bros. Barbecue with his brother Justin 8 years ago. One thing led to another: First, it was a catering business with a backyard smoker, then running a menu for a local bar, followed by leading the pack for best barbecue in the city—all before even opening their own restaurant. 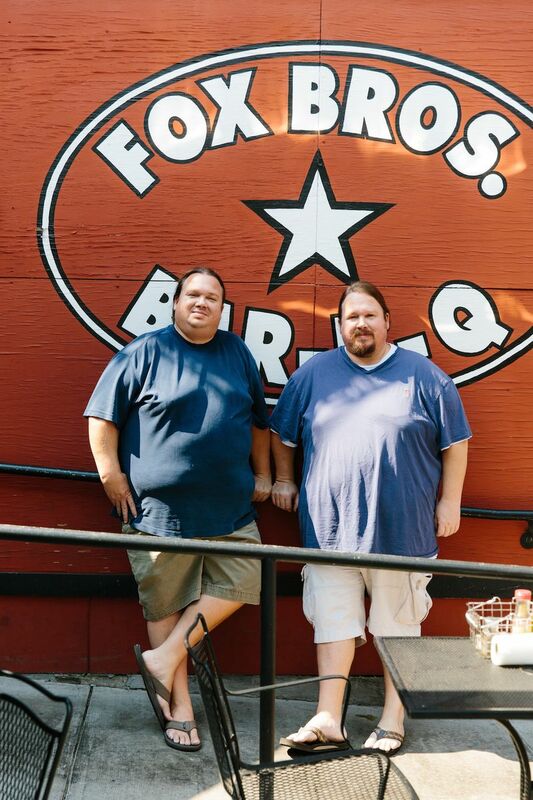 Left: Fox Bros. Barbecue smoked pork and sides; and right: Jonathan and Justin Fox, owners of Fox Bros. Bar-B-Q. 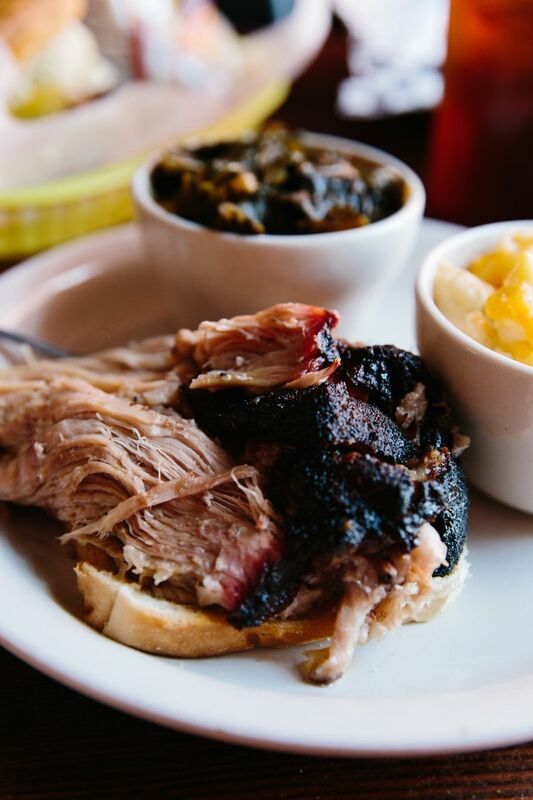 Check out the full guide to BBQ & Beyond in Atlanta on the Shop Small® Map. This post is promoted by American Express—committed to connecting small merchants to more customers. Now that American Express® Card acceptance is simpler for small businesses, Card Members can pay how they want at more places than ever before. Are you a small business owner? Learn more here. I think you're missing something here. 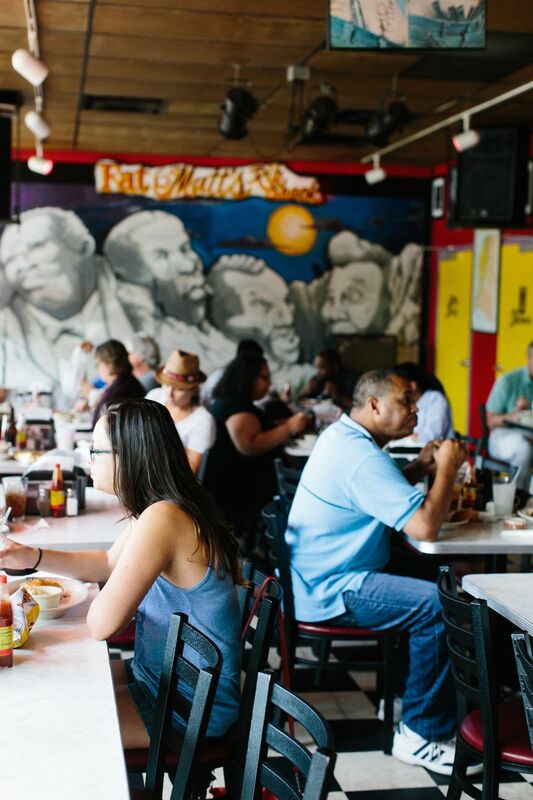 You have only featured white pitmasters in Atlanta. Before you're so sure they're the best, I suggest you check out a few more spots. 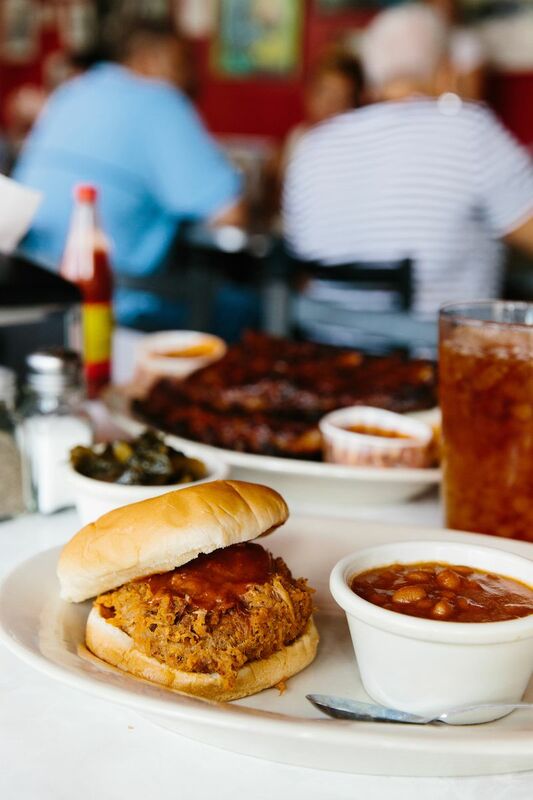 These are just a few places we like -- would love to know where else you go for barbecue in Atlanta!